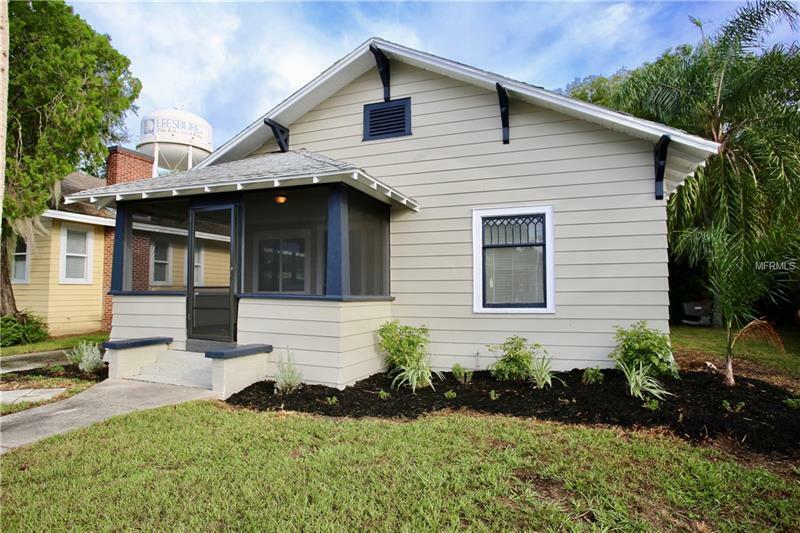 Charming vintage bungalow in the heart of Leesburg with R-2 Zoning. Come take a look at all the updates including updated kitchen with grey shaker cabinets, granite counters, brand new Whirlpool s/s appliances, new lighting and backsplash too. Check out the restored hardwood flooring, window moldings and character side by side with modern the elements and you'll want to call this home! Many new windows, new flooring in the bath and kitchen areas, ceiling fans and so much more to appreciate in this price range. Large rear yard for storage or entertaining.Easy access to the Villages, less than an hour to Orlando and the theme parks, the turnpike and 75 are close by too! Make your appointment today!